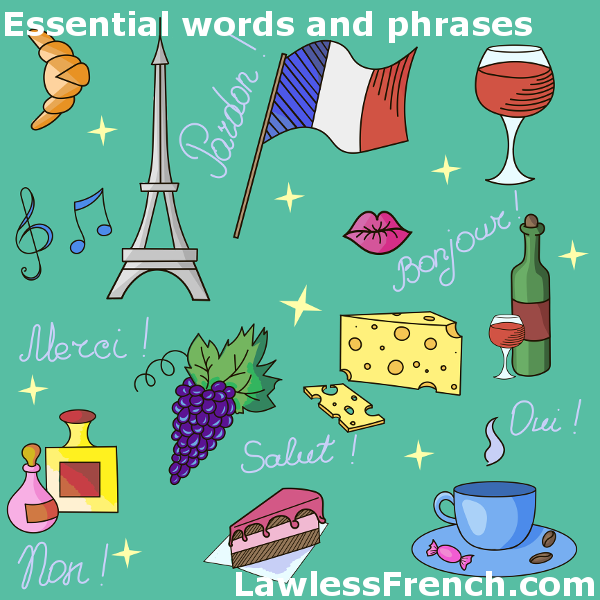 Knowing just a few key words and phrases can be very helpful in your French classes, while traveling in France, and everywhere in between. I speak (a little) French. Je parle (un peu de) français. Repeat, please. Répétez, s’il vous plaît. I have a problem. J’ai un problème. How do you say ___ in French? Comment dit-on ___ en français ?